Although Ashish was overwhelmed with the love showered on him, he doesn't encourage such things. Television actor Ashish Sharma, who plays the role of Rama in mythological show "Siya Ke Ram," celebrated his birthday on Tuesday, Aug.30. On this happy occasion, the actor, who is quite popular among females, received a lot of gifts from his fans. While gifts from fans are always special to the actors, one such gift left Ashish in shock. Ashish received an unusual gift from a teenager, who sent him a birthday card written in blood. Although Ashish was overwhelmed with the love showered on him, he doesn't encourage such things. "There is some teenage girl, who sent me a card with 'Happy Birthday' written in blood. It was a little scary for me as I didn't expect it. Though I am overwhelmed, I don't encourage such things. I request my fans to not harm themselves. A card written with normal ink is fine with me," Ashish told Tellychakkar. Talking about his plans for his birthday, the actor said that he had no big plans, although his wife had planned a surprise birthday bash for him. Further, he said that since he plays the role of Lord Rama on the show, people often misinterpret him as God and touch his feet to seek blessings. Meanwhile, "Siya Ke Ram" narrates the "Ramayana" from Sita's perspective and has been successful in keeping the audience engrossed. 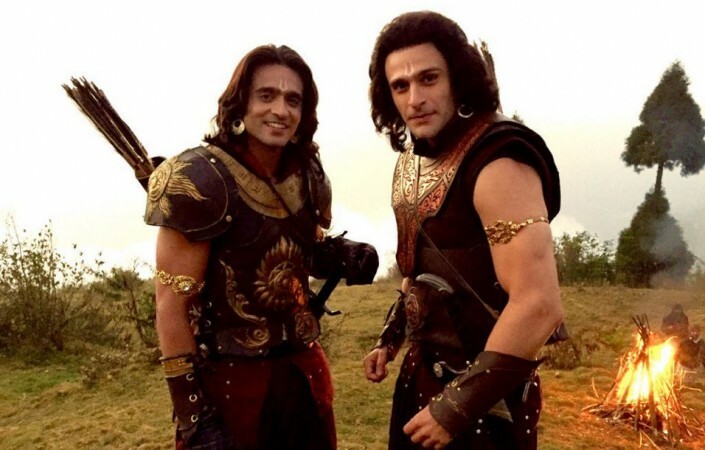 The talented cast including Ashish Sharma, Madirakshi Mundle (Sita), Karan Suchak (Lakshmana) and Danish Akhtar Saifi (Hanuman) have immensely contributed to the show's success. Recently, there were reports that "Siya Ke Ram" would come to an end in September. Apparently, the mythological show would be replaced by Ekta Kapoor's new show "Chandragupt Maurya."